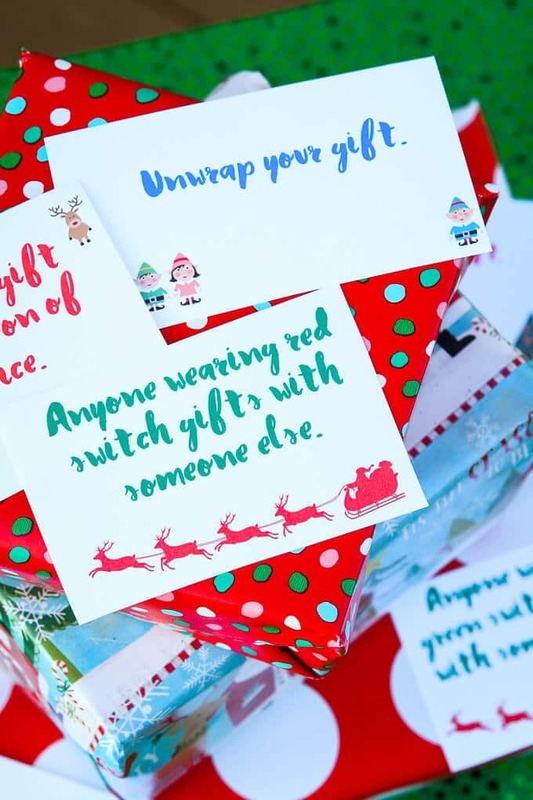 Make this year’s gift exchange the best of all with these six great tips and the free printable gift exchange cards and game idea! 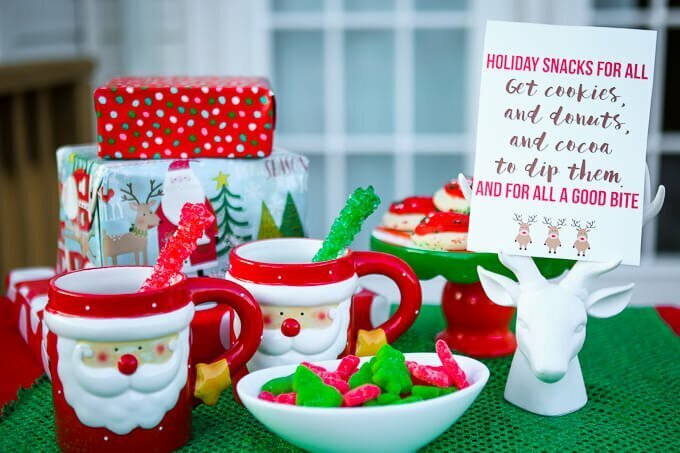 It’s a fun and unique way to host the best Christmas party ever! One of my favorite parties to host during the holiday season is a gift exchange party. 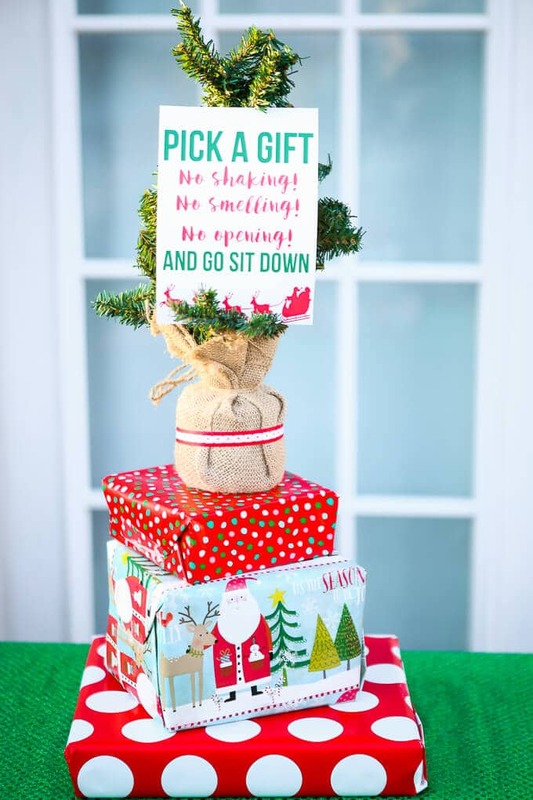 White elephant, make your own, bigger or better… you name the type of gift exchange party and I love to host it. 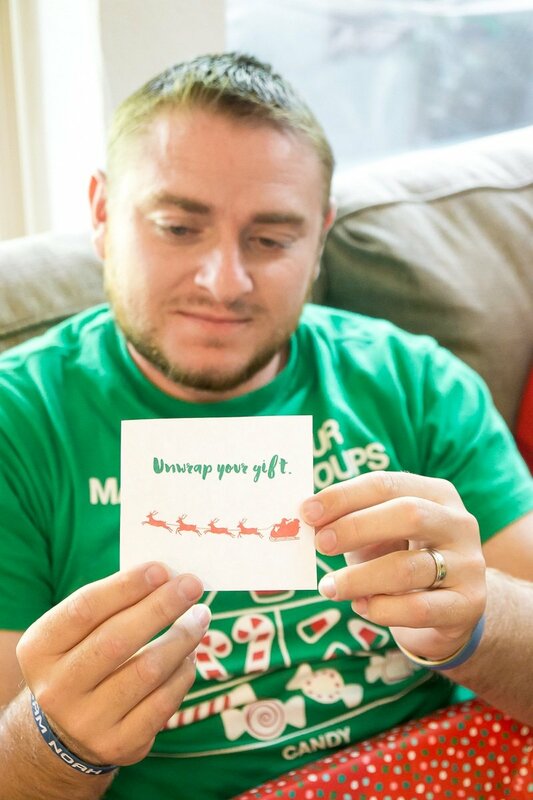 Apparently others do as well since these creative gift exchange game ideas is one of my all-time most popular posts. There is an art to hosting a gift exchange. It can either be something that people really enjoy or something else. These are my top six tips to host a gift exchange that makes people want to keep coming back year after year. You’d better believe I’ll be following these for my party this year. #1 – Pick your theme and stick with it. This is almost always the first tip I give when you’re planning out any party. I know you’re hosting a gift exchange party but what kind? Is it going to be a white elephant gift exchange (if it is, these are some of the best white elephant gifts ever!) or maybe a make your gift exchange? 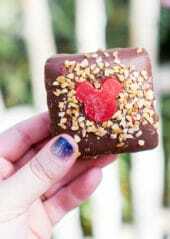 Or how about a favorite things gift exchange? 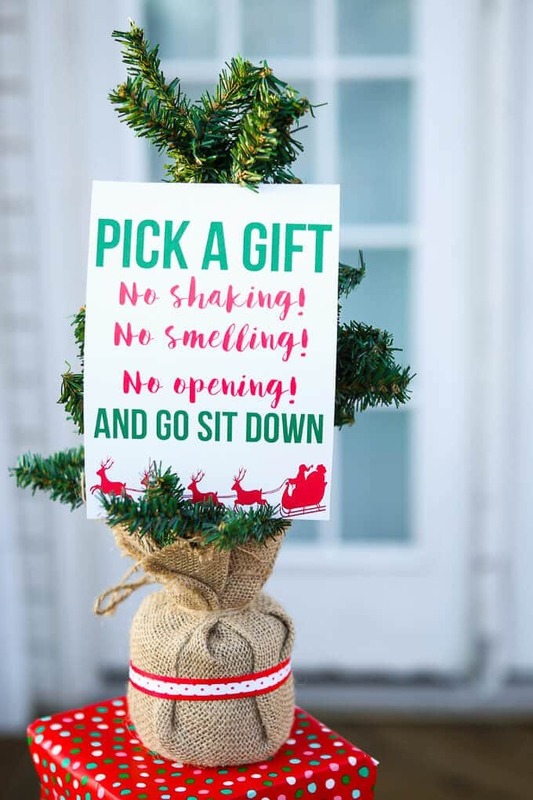 There are a ton of different themes out there that you can use so pick one and make sure all of your guests know exactly what type of gift to bring. You don’t want someone to show up with an awesome project they’ve spent a lot of time on and another person to come with some gag gift they picked up at a gas station. You could even put your own twist on it and make it a white reindeer, instead of white elephant, gift exchange and decorate with all white reindeer. White is very trendy right now. Or how about coming up with a new theme like tell everyone they have to put together a gift basket with items from Walmart for a total of $10 or less. You’ll be amazed at all of the creative things people can come up with. I picked up my fabric, card stock, cookies, and even my gifts while at Walmart this week! #2 – Keep your menu simple. Plan your party during non-meal hours and keep your menu simple. People will likely grab some food at the beginning of the party and toward the end but I’m willing to be that people aren’t going to leave in the middle of the gift exchange to grab food. And on that note, stick to foods that’ll stay good at room temp. One of my favorite things to do is to heat up my favorite dips in bread bowls and then just leave those on the table with the bread cut from the center on the plate for people to dip. This spinach artichoke dip is perfect in a bread bowl! Any of these delicious recipes would be great as well! 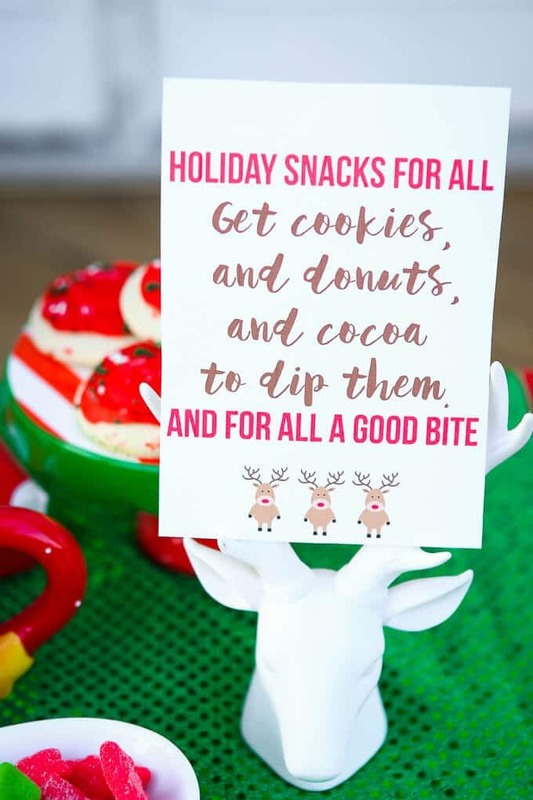 Add a fun personal touch with this cute printable signs encouraging people to pick out some treats. You can download the free printable food sign by clicking on the image below. Everyone’s done the standard pick a number and the first person picks a present then the next person gets to steal and so on. 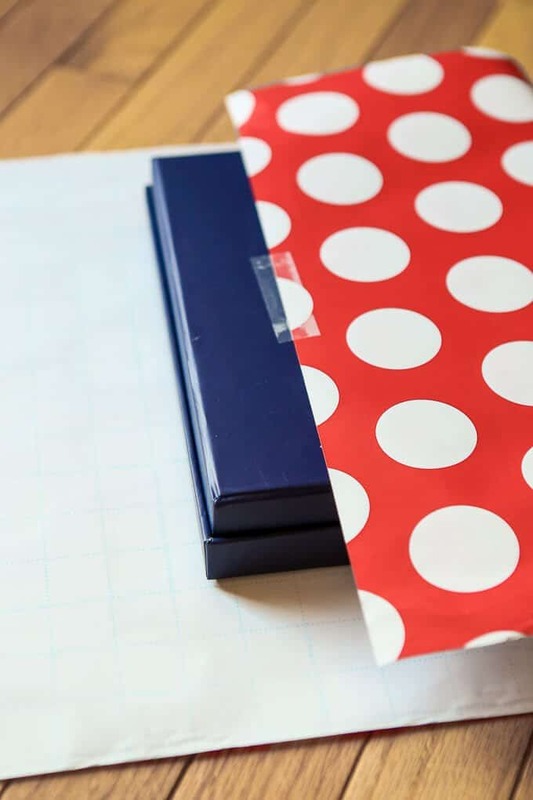 Try one of these three unique gift exchange game ideas OR try out the new one I created just for this post. Pick a Gift, Any Gift because you’re gonna trade it anyway. Okay, that’s not what I really call it but that’s what happens. Put all of the cards in the Santa hat. Have everyone sit down in a circle with the gift they brought. Put the unclaimed gifts in the middle of the circle. Give the youngest person in the circle the Santa hat and ask them to pull out a card and read it out loud. If the card is directed as just her (e.g., unwrap your gift), that person will do whatever the card says. 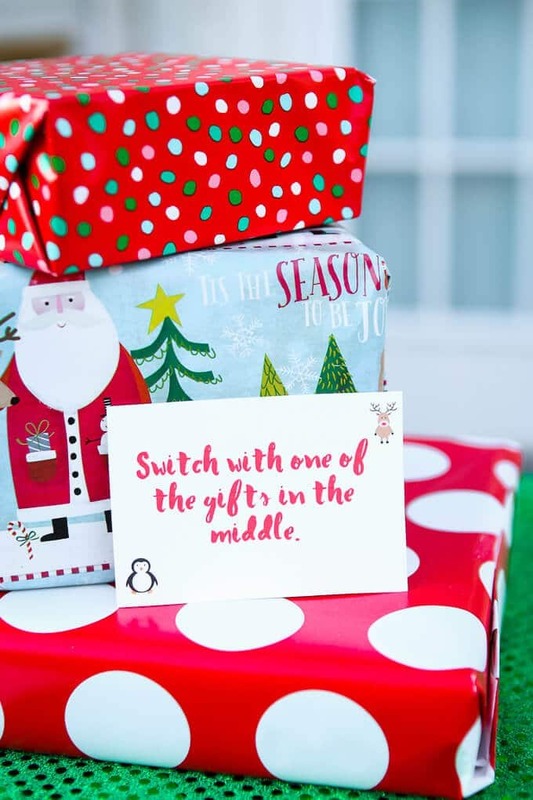 If the card is directed at the entire group (e.g., everyone pass your gift to the left), everyone does what the card says. Once the person’s turn is completed, they return their card to the Santa hat and pass the hat to the person on their left. Continue passing the Santa hat around the circle, having people take turns picking a card out and following the instructions on the card, until everyone has had a turn. Or if you’d rather the game go longer, go around the circle two or three times. At the end of your desired round, have everyone who hasn’t already, unwrap their gifts. Everyone goes home with the gift they ended up with on the final turn. You can see how fun this game is and how to play in the video below! 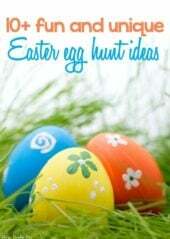 You can download the free printable cards by entering your name and email address below. I’d recommend incorporating all four sheets of cards into your hat because they all have different instructions on them. If you can’t see the form below, click here to get to it to get your printable cards. #4 – Create the perfect party playlist. It seems a little strange that I’m talking about music with a gift exchange, I know. But you don’t talk that much during a gift exchange so it’s the perfect time for some great Christmas background music. This is a great traditional Christmas playlist to get you started or if you’re looking for something with some more modern twists, this Christmas playlist from Sugar & Soul is awesome too! Just make sure to keep the music loud enough that people can hear but soft enough that it’s just background music, not yell over it music. 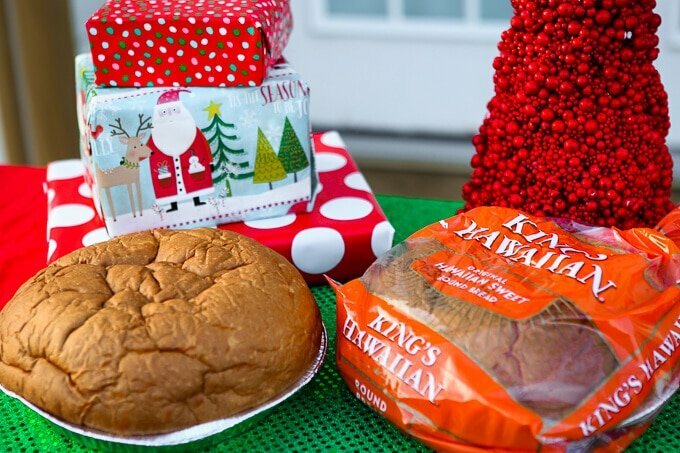 #5 – Pick out the perfect gift. You’re the host so you’d better come prepared with some great gifts. It is your gift exchange after all. If you’re doing a white elephant exchange, you could get one of these white elephant gift ideas and be set. If you’re doing a homemade one, try this dinner in a jar idea or an ice scream basket. And if it’s a regular gift exchange, honestly a gift card always does well. Not exciting, but popular. The holidays are supposed to be about enjoying time with friends and family, giving back, and being grateful for everything we have. Don’t stress out and let stupid things like running out of ice ruin the night. Prep using all of the tips above and just go with whatever comes your way. 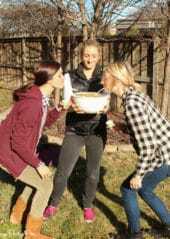 Need fun games for a Christmas party with 10 girls. There are some great ones here https://www.playpartyplan.com/25-christmas-party-games/ or we love these minute to win it games https://www.playpartyplan.com/christmas-games/. 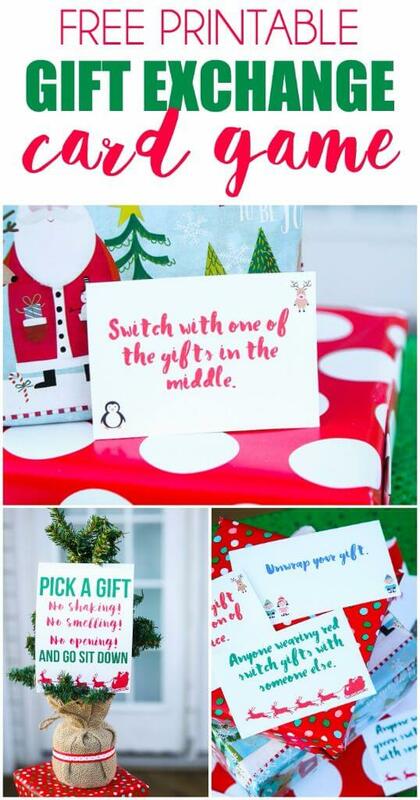 I would love to have the printable cards ( you mentioned 4 sheets) for the Pick A Gift game that you created …..it sounds great. You can get them by entering your first name and email here Melanie –> https://landing.mailerlite.com/webforms/landing/m2y9a9. 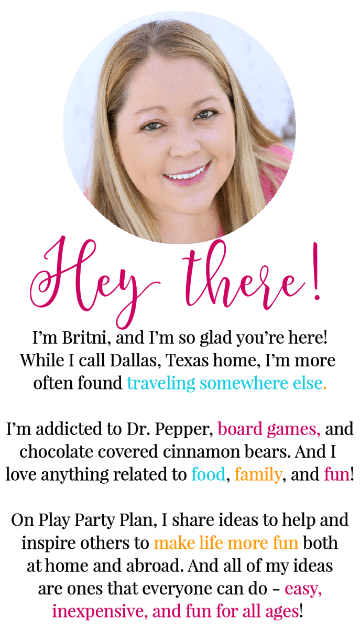 Thanks so much for your ideas and free printables! I was asked at the last minute to plan our church Christmas party. If I’m allowed to share, I would like for you to see my blog post at https://rowletthomeschoolblog.com/2017/12/20/last-minute-christmas-party/. Have a very happy New Year and God bless!! What do you do with the extra gifts in the center? There are cards in the deck that give people the option to trade for a gift in the middle. Since you provided the extra gifts in the middle, either you can get them at the end or you could use them as a prize for another game or give them away in some other way.